The picture below shows the F/O Purvis crew and ground-crew. Jim Wright, Larry Guthrie, Dave Stoddard, Bob Purvis, Stand-in F/Eng?, Vernon Scoble and Ken Scholefield. (Scoble is also mentioned as being the mid-upper gunner). The photo in the book is credited to Purvis. 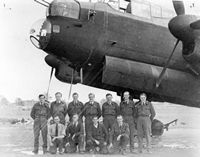 This picture was most likely taken after 12 Aug 1944, because the Sgt Leary (the regular F/Eng) is confirmed not present (due to injuries he did not fly again operationally following the incident described in the Station Narrative No. 8 (below)). 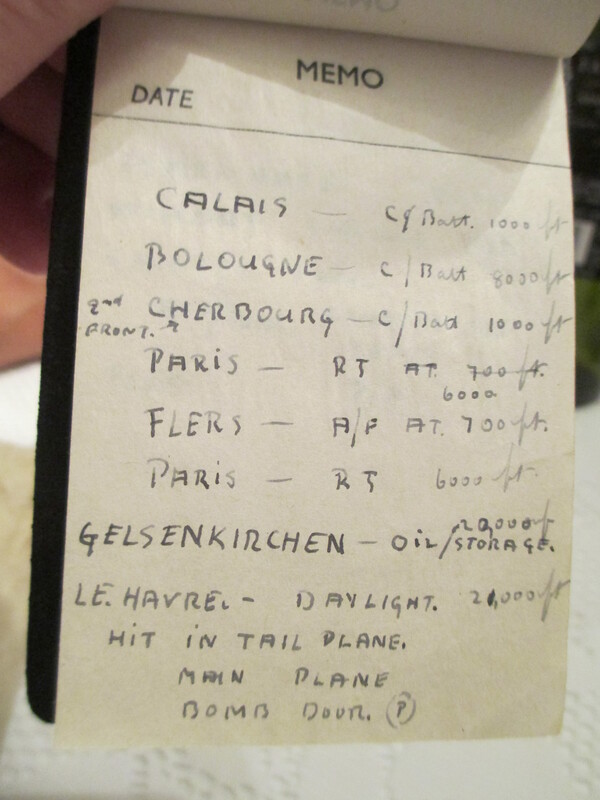 This narrative, included in the Station Operational Record Book, describes an "eventful" trip to Bordeaux. The aircraft was hit by flak, and in addition to jettisoning the bomb-load, the ammunition even the guns were dumped in an effort to gain height. 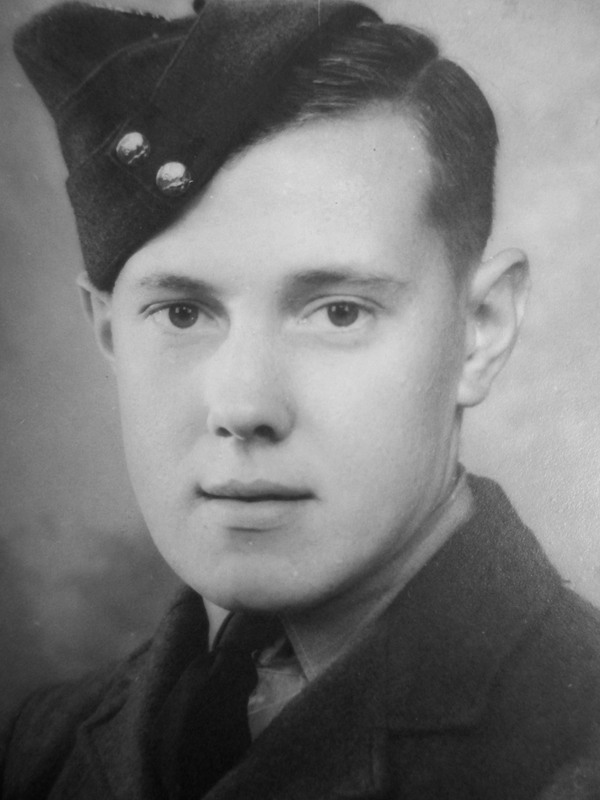 The flight engineer (Sgt Leary) was badly wounded, the bomb-aimer also sustained wounds. 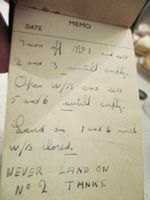 Despite the severe damage to the aircraft the pilot, with the aid of the wounded flight engineer, got the aircraft and crew home. Other information about the flight and the target available here. The Purvis crew finished their first operational tour on 12 Sept 1944. 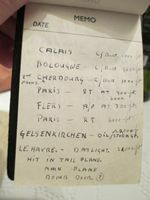 On 25 August 1944 the ORB records "News was also received late in the day of the awards of the DFC to P/O Purvis for his part in the raid on 12 Aug 1944 and to F/O Dubois for his trip on the 10th Aug."
"Flying Officer Robert PURVIS (175075), R.A.F.V.R., 550 Sqn. In August 1944, Flying Officer Purvis was captain of an aircraft detailed to attack an oil storage installation at Bordeaux. On the bombing run his aircraft was severely damaged by anti-aircraft fire. Two engines were rendered unserviceable. Confirmation and promotion Fig. Off. to Fit. Lt. (war subs. ): - 26th Apr. 1946., R. PURVIS, D.F.C. (175075) Gazette Issue 37578 published on the 21 May 1946. 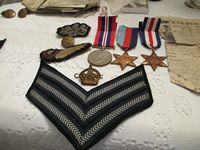 Many thanks to David Goodwin (nephew of Sgt Leary) for the following photographs and information about Sgt Leary. 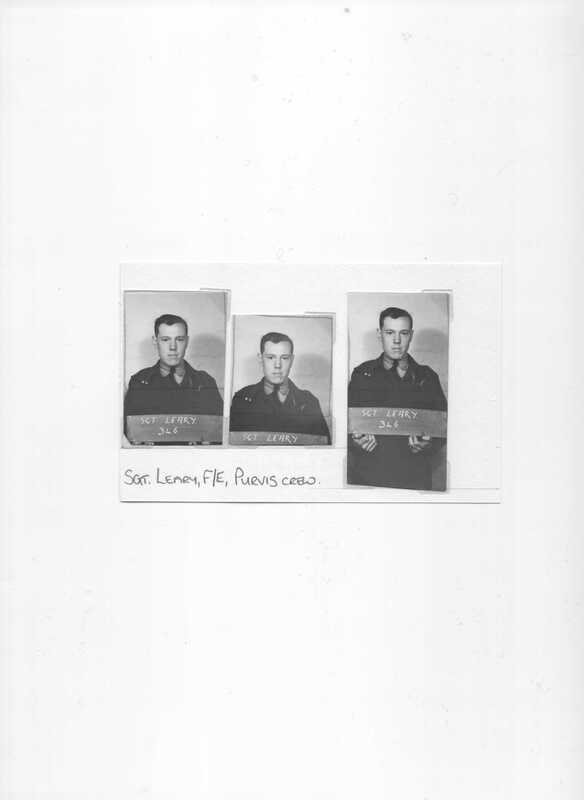 Due to his injuries that day it is understood that Sgt Leary did not fly operationally again. 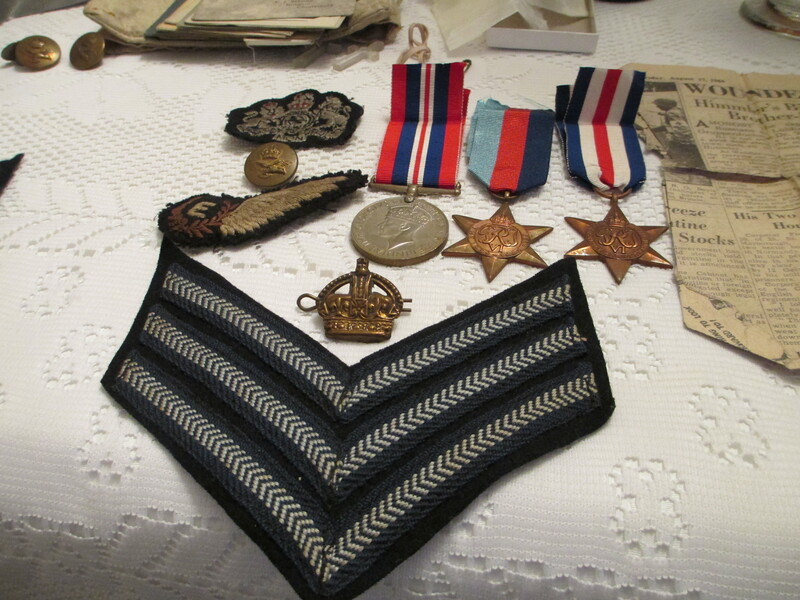 He left the RAF with the rank of Warrant Officer. The crews bomb aimer F/Sgt Scholefield was his best friend in the Air Force and was later best man at Sam and Olive's wedding.